Pulusu is an authentic curry from Andhra Pradesh . It is made with a variety of vegetables in the tangy tamarind gravy with the addition of spices for flavouring. 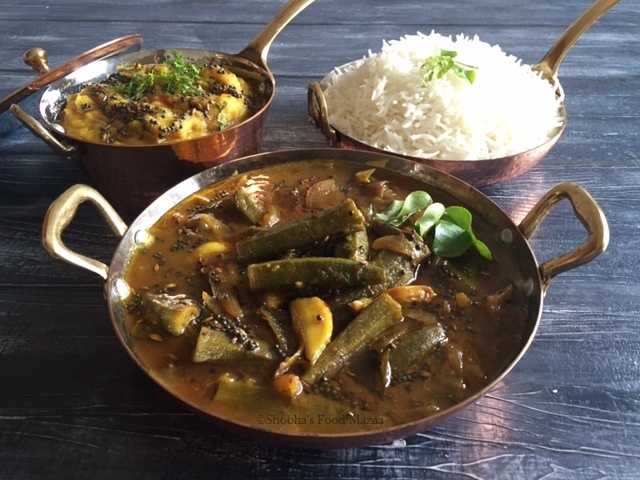 Bendakaya means bhindi in Telugu. 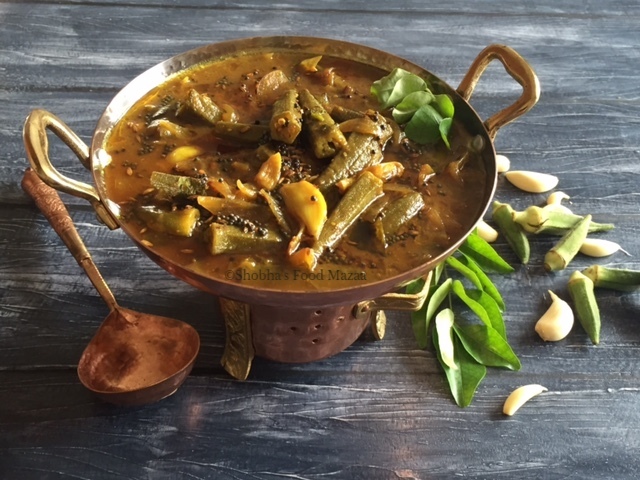 Here is the recipe of tangy bhindi curry. It goes well with plain rice. 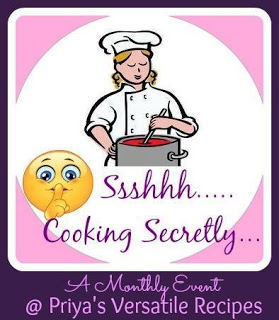 This month in our group,"Shhhh Cooking Secretly" I am paired with Sujata Roy. 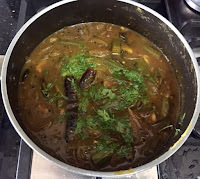 I made this curry with the 2 ingredients selected by her, Bhindi and Tamarind. Do visit her blog "Batter Up With Sujata" for delicious Bengali recipes and more. Tamarind juice .. 4-5 tbsps. 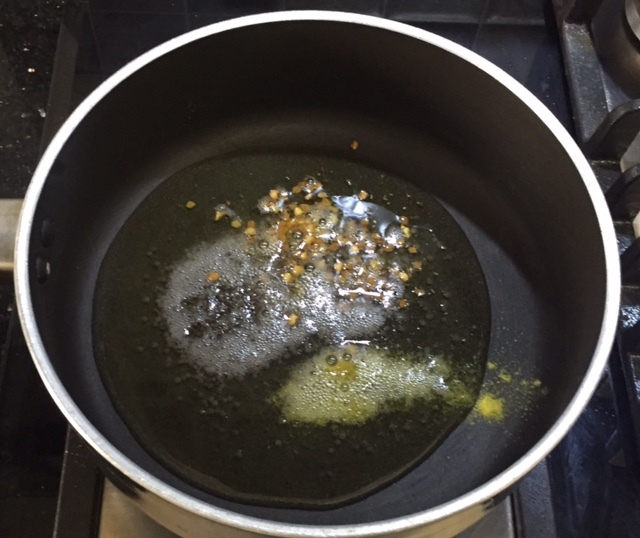 Heat oil in a pan and add the mustard seeds, fenugreek seeds and asafoetida. 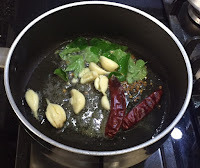 When they crackle, add the red chillies, curry leaves and the garlic pods (lightly crushed or whole). 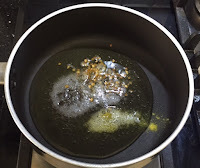 Stir fry until garlic is slightly brown. 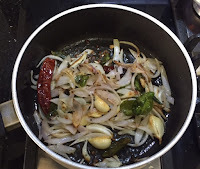 Add the sliced onion and slit green chillies. Saute for a minute until onion is translucent. 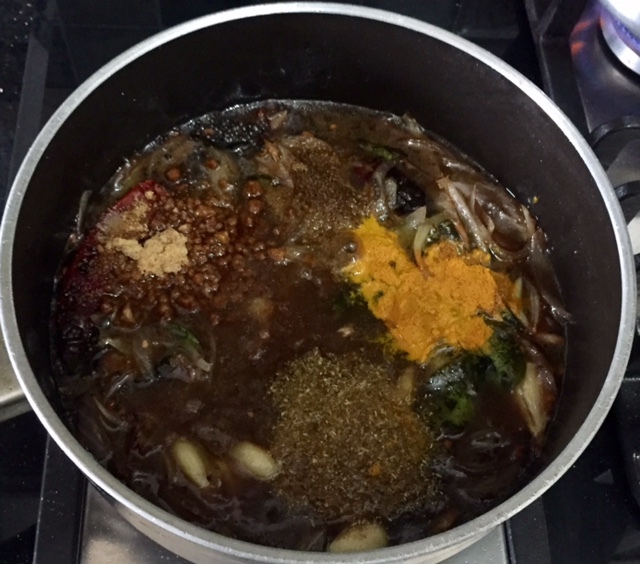 Now add the tamarind juice, jaggery, salt and spice powders. Stir to mix and add 2 cups of water. 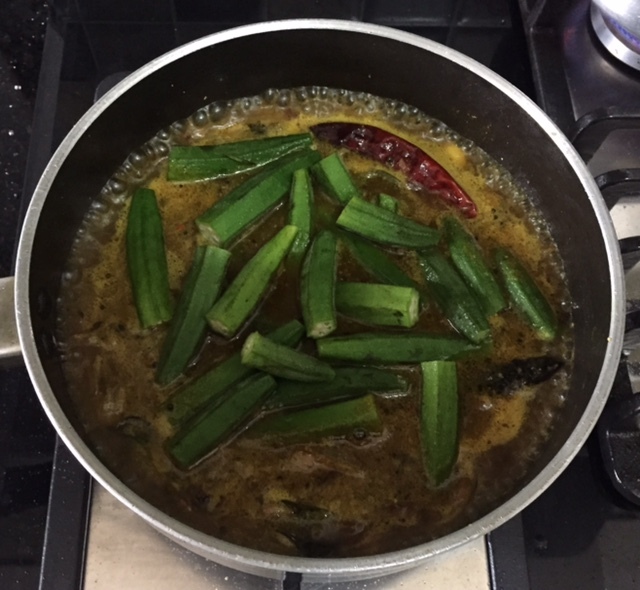 When the gravy starts boiling add the bhindi / okra and the spice powders. 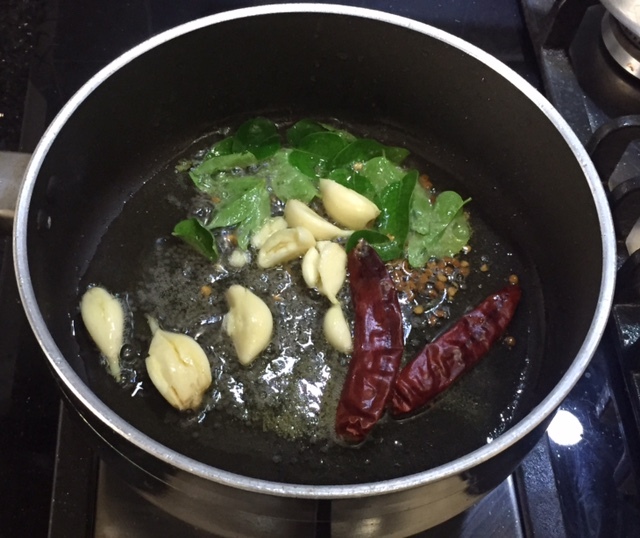 Simmer until the bhindis are tender and the gravy is thick. Served with Rice and Andhra Pappu ..
My dad's favourite and so special to me! Shobha the pulusu looks so nice. Its a different way to cook bhindi from the usual dry style or the northern style. Yes Mayuri, sometimes having a different cuisine foods gives a change from the daily routine stuff. Never liked bhindi in gravy. But will bookmark bit for trying later. Picture looks really nice. Slurp slurp, such a mouthwatering pulusu, drooling here.. Delicious Curry!This is a must try for me! 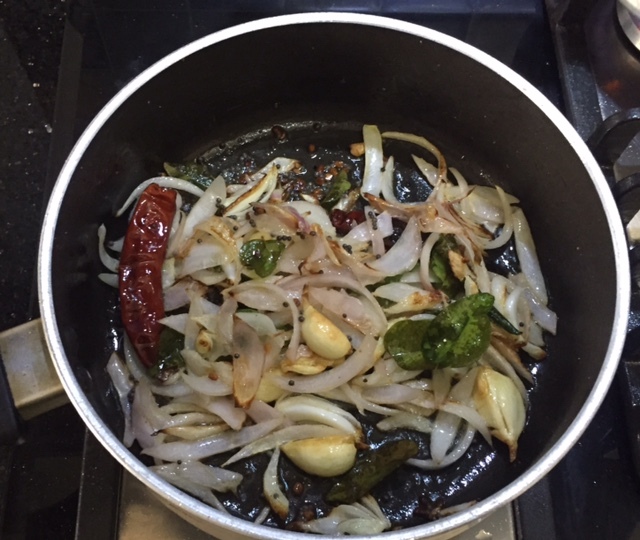 Thanks for a totally different bhindi recipe. This looks tempting. Can feel the tangy spicy taste. Superb share. Thanks Sujata.. 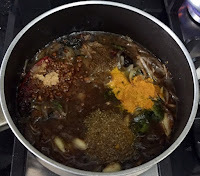 It is nice to try out different recipes from other cuisines.